Welcome back to our increasingly regular feature of reviewing a film too late to catch it in the cinema, but too early for the DVD or Netflix – the infinitesimally small space of time in the history of the universe when the film is officially unavailable, and therefore an almost impossibly bad time to review it. Today, it’s The Grand Budapest Hotel! 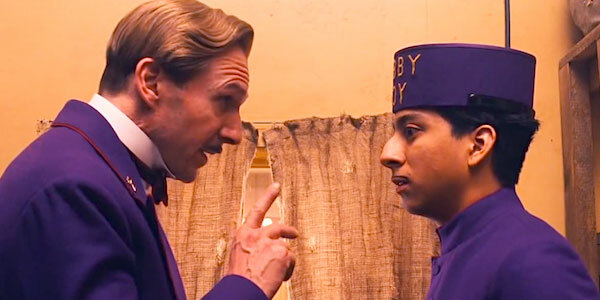 Essentially the story of a concierge (Ralph Fiennes) and his lobby boy (Tony Revolori), but with a much more elaborate narrative structure, The Grand Budapest Hotel is a quirky comedy written and directed by Wes Anderson – hardly a surprising change of pace for the second best Wes in Hollywood (after Craven, not Snipes), but what is surprising is just how funny it is. I have to admit at this point to never having seen a Wes Anderson film before, and at first the film’s hyper-stylised visuals and storytelling threatened to lose me in its irritating archness. But as the story swept colourfully along, I found myself laughing more and more with every sharp line and inventive sight gag. Anderson seems obsessed with the notion of storytelling, and constantly reminds us of the artifice of the medium with picture book visuals and offbeat directorial flourishes. But this never feels alienating or annoying, as it so easily could, and we’re treated to a great adventure with some great characters. Everyone is in this film. It’s like The Expendables but with real actors. It dwarfs Movie 43‘s already meaningless claim of having “the biggest cast ever assembled.” It makes Ocean’s Thirteen look like Ocean’s Eleven. 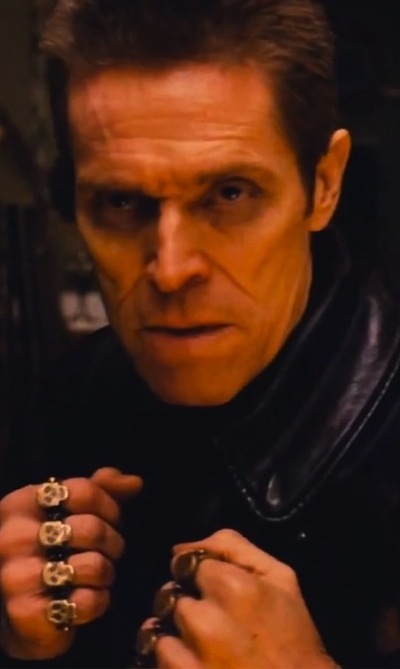 From Tilda Swinton to Owen Wilson, Edward Norton to Saoirse Ronan, Adrien Brody to Bill Murray – they’re all there, even if you sometimes have to check it’s actually them, and they’re all on top form, particularly Willem Dafoe. And Harvey Keitel. And Jeff Goldblum. Best of all is Ralph Fiennes, a wonderful comic actor having a grand old time in a grand old hotel, earning every single laugh. His relationship with newcomer Tony Revolori is a joy to watch, as they bounce off each other like a familiar double act. With vivid attention to detail in the sets, costume and design, The Grand Budapest Hotel is a film that pops out of the screen like a pop-up book. Its playful storytelling and funny performances make it worth going to the cinema for, in the past, or watching at home, in the future. But for now you’ll just have to wait. Sorry about that.